Recently I have completed B.Com Degree from Kakatiya University. Now I need Convocation Certificate. So tell me what should I do to get Convocation Certificate? 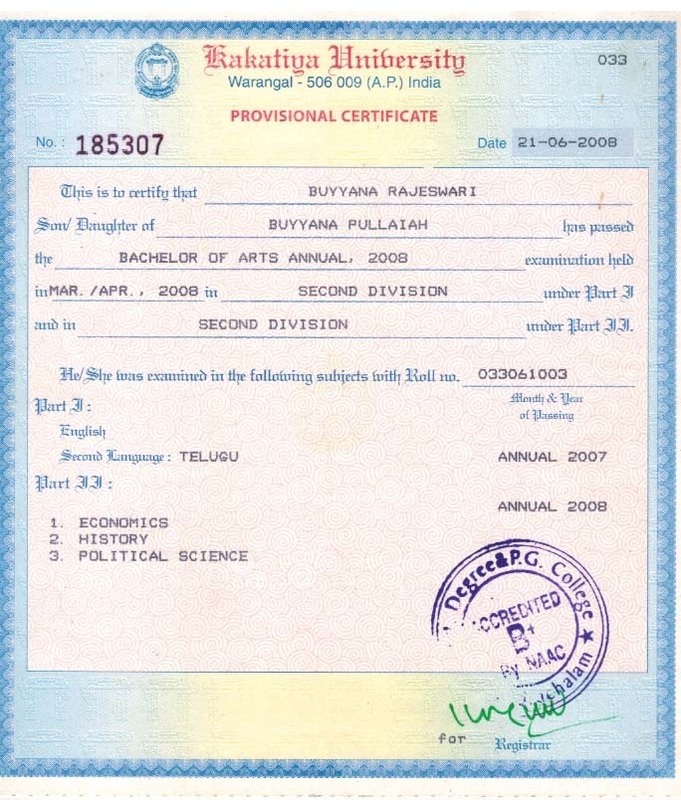 Can I apply online to get Convocation Certificate of Kakatiya University? The Kakatiya University was established in 1976. The University is accredited to NAAC with A Grade. It has several departments that offer a wide range of Educational Programs. As you want to apply for Convocation of Kakatiya University, so I want to tell you that the Convocation function will be held soon. The Kakatiya University will update its important dates soon. So you have to wait for some time. I am giving important steps to apply online for Convocation for your reference. 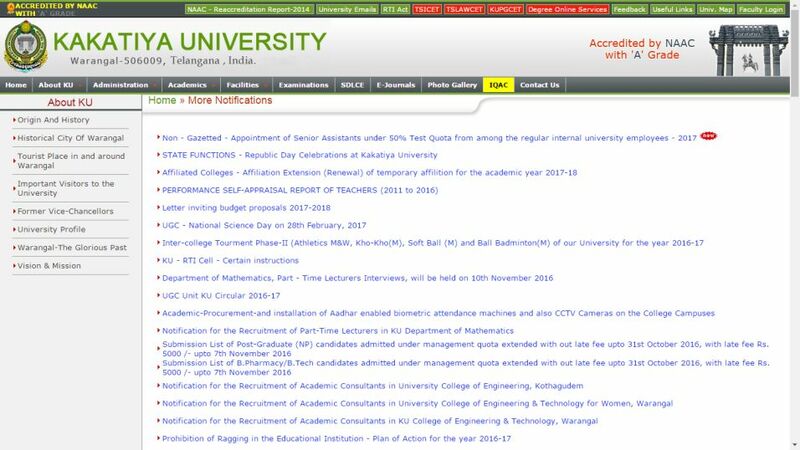 Go on homepage of Website of Kakatiya University. There will be a section for Notifications / Circulars situated in middle of homepage. You have to click on that link, you will be on a new page where you will get link to apply for Convocation.